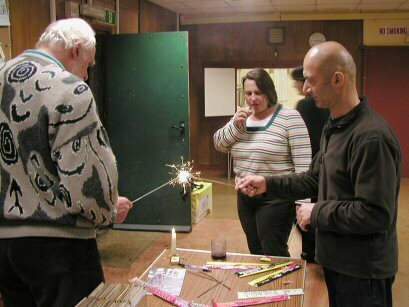 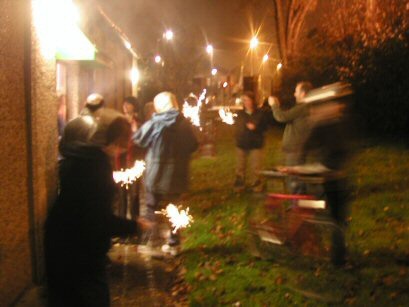 Thursday 6th November, Sparklers Night at ROVSCO hall. 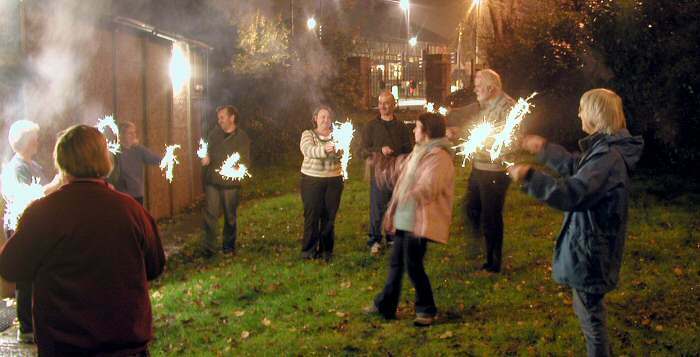 We had decided that our celebration of whatever we were celebrating around this time - be it Guy Fawkes, Diwali, Samhain or whatever - was to be toned down a bit, both cost-wise and noise-wise. 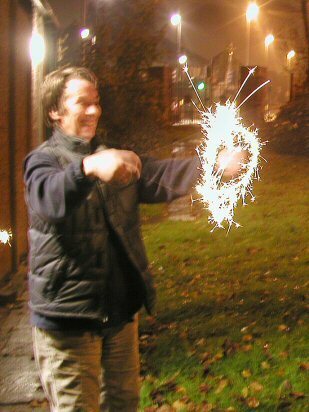 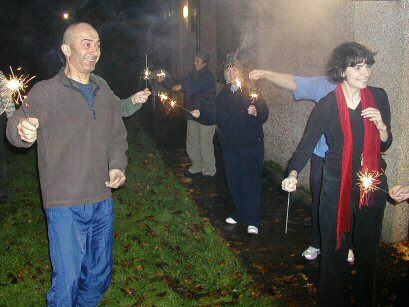 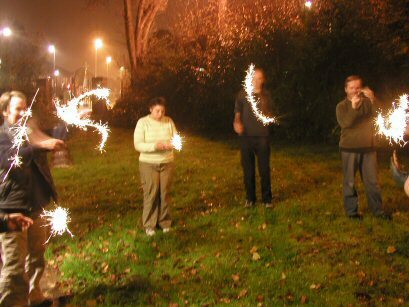 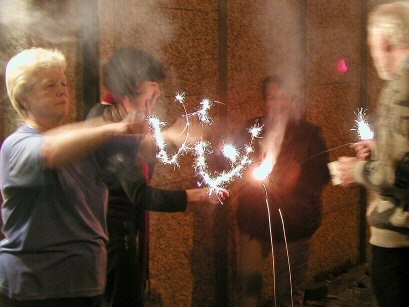 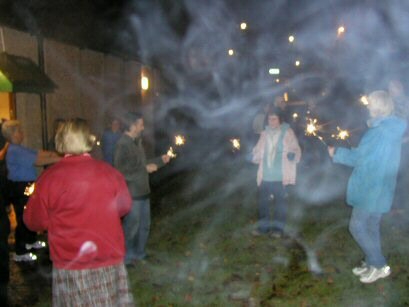 So we used a variety of sparklers and turned into children - which wasn't difficult for us. 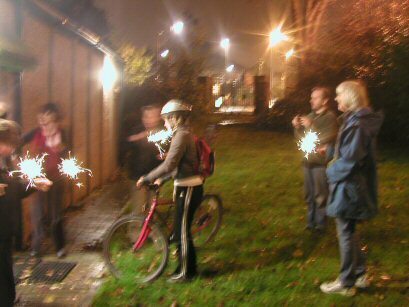 Ignoring the 'No Smoking' sign? 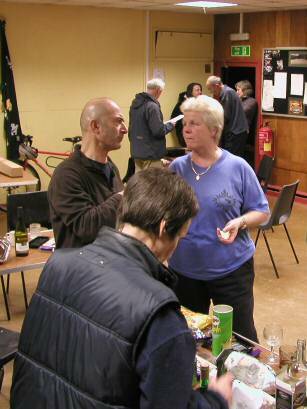 Parviz and Val - about to have a punch up? 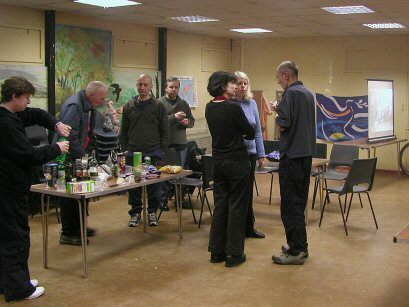 Discussions as to how the event went?